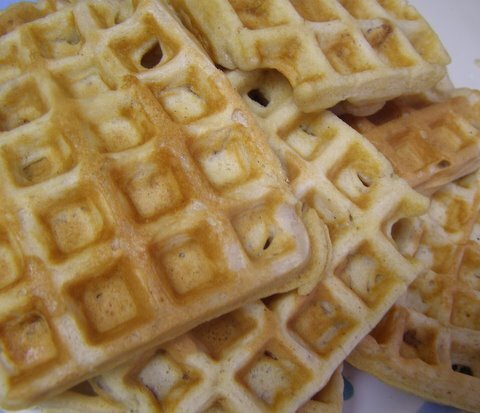 I am a huge fan of waffles, especially waffles that have an extra added ingredient or two in them. Take for example my bacon waffles – those are awesome! But these definitely come in a close second. 1. Melt butter in a skillet over medium heat. Stir in brown sugar, cinnamon and optional nutmeg. Cook about 2-3 minutes, until bubbles form and it begins to take on a melted caramel consistency. Stir in bananas and pecans. Cook an additional 3 minutes, stirring frequently. Remove from heat and stir in vanilla or maple extract. Cool to room temperature. 2. 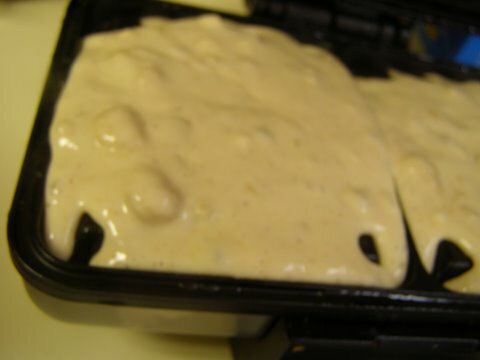 While the pecan banana mixture cools, prepare waffle batter and warm waffle iron. 3. Once cooled, reserve 1/2 c. pecan banana mixture in the skillet and stir the remaining sauce into the waffle batter just until combined. 4. Cook per waffle maker instructions. However, these tend to be a bit stickier than other waffles, so you will probably need to grease the waffle iron between each batch. 5. To serve, warm the remaining sauce in the skillet until heated through. Pour over waffles. The waffles are equally good with maple syrup or even plain. They freeze and reheat in the toaster beautifully. If you really want to take them to another level and make these waffles a finer thing, serve them for dessert with a scoop of vanilla ice cream and hot pecan banana mixture on top. Ok, these look really good. I am getting lots of great recipes tonight! Thank you for posting. I have been looking for a good waffle/pancake recipe. The last one I tried tasty “eggy” I’ll give these a try! 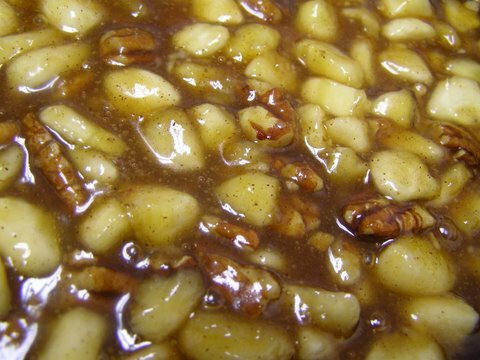 I am making these right now (the night before) I have made the sauce less the pecans because I have none on hand. I tasted the sauce before I mixed it into the batter and let me tell you….wow this stuff alone is great I will be making this in the morning for my son and I and I know he will just love them. These look sooo good!! I can’t wait to try them! Thanks for posting this recipe. Ever since the other day when you posted the picture of them, I couldn’t wait to get the recipe. Yummy!! I’ll be trying these soon. I guess I should confess that I don’t have a waffle iron and only make toaster waffles. 🙁 I do love to eat strawberries and whip cream on my waffles. Your bacon ones sound really good. These are so much better than the frozen waffles I usually serve up. This looks so great! That’s it, I have to get a waffles maker now!!! Looks divine! All I have to say is YUMM-O! I can not wait to make these soon! They look and sound like pure heaven! 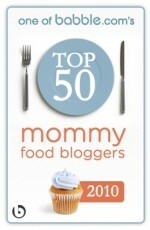 I just bookmarked these.. my family and I will love them! Oh man, those look simply divine. I am going to have to try them-and soon! Have no a lot of cash to buy some real estate? Worry no more, just because that’s real to get the home loans to resolve all the problems. Hence take a bank loan to buy everything you want. There are definitely a whole lot of particulars like that to take into consideration. That may be a nice level to carry up. I offer the ideas above as basic inspiration however clearly there are questions like the one you bring up the place crucial thing will probably be working in trustworthy good faith. I don?t know if finest practices have emerged around things like that, but I am sure that your job is clearly identified as a fair game. Each boys and girls really feel the impression of only a moment’s pleasure, for the rest of their lives. Yummy!! thanks for sharing this mouth-watering recipe. Thanks for sharing this waffles recipes. Really great stuff. I am just commenting to let you be aware of of the really good discovery my friend’s girl gained studying your blog. She learned a lot of details, which included what it is like to possess an ideal teaching style to get other individuals without problems have an understanding of specified grueling topics. You really exceeded her expectations. Thank you for presenting the valuable, healthy, revealing as well as easy thoughts on your topic to Janet. Hi there.. I am a newbie to blogging world and I been doing some research to get some ideas. Your wordpress blog definitely has help me. Thank you for that!.. 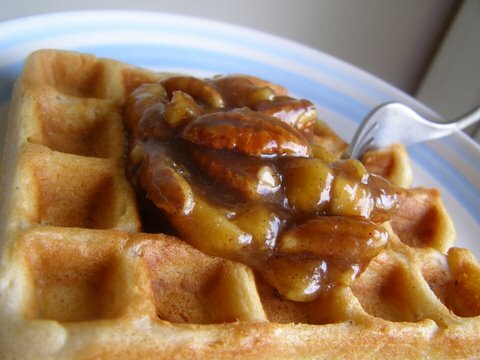 and not to mention I’vebookmarked your Butter Pecan Banana Waffles â€” Cooking During Stolen Moments . 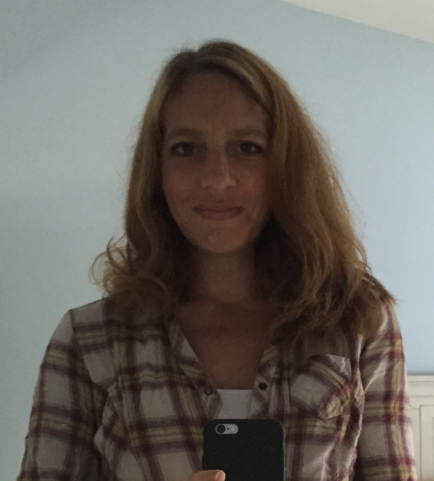 Thanks for your advice on this blog. 1 thing I wish to say is the fact that purchasing gadgets items on the Internet is not something new. Actually, in the past ten years alone, the marketplace for online consumer electronics has grown substantially. Today, you’ll find practically almost any electronic gadget and devices on the Internet, ranging from cameras and camcorders to computer spare parts and games consoles.
.) There are certainly a lot of details like that to take into consideration. That is a great point to bring up. I offer the thoughts above as general inspiration but clearly there are questions like the one you bring up where the most important thing will be working in honest good faith. I don?t know if best practices have emerged around things like that, but I am sure that your job is clearly identified as a fair game. Both boys and girls feel the impact of just a moment’s pleasure, for the rest of their lives. I was very pleased to find this great site. I need to to thank you for your time for this particularly wonderful read!! I definitely really liked every little bit of it and I have you book-marked to check out new things in your web site.